We’ve all had a really nice drive that lands in the middle of the fairway be ruined by ending up in a nasty divot. 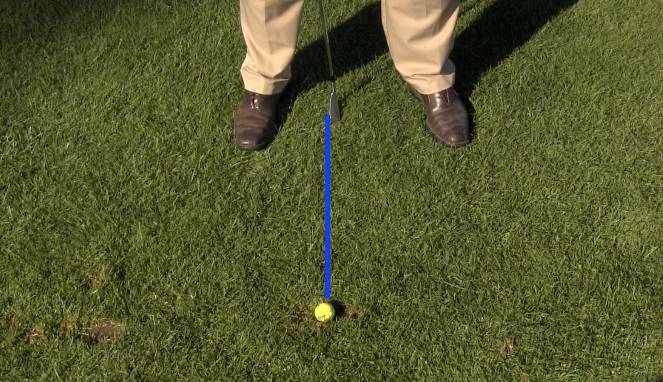 In this segment of On the Lesson Tee, Todd Kolb shows us how we can keep this bad lie from spoiling a good drive, and explains how taking more club and using a more controlled swing can keep you from making a bad situation even worse. 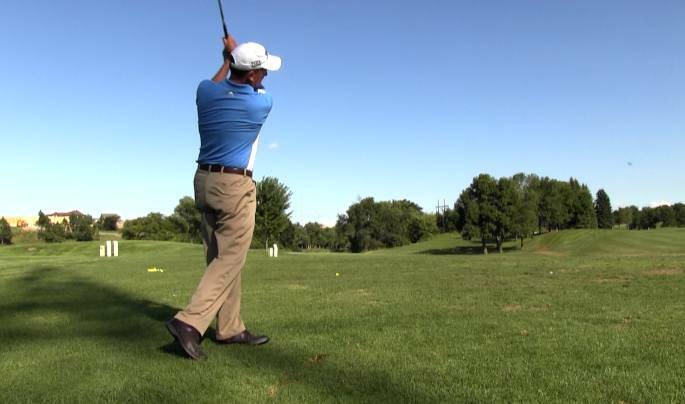 PGA Teaching Professional Todd Kolb with another segment of On the Lesson Tee, and today we’re talking about one of those dreaded times when you hit a good drive in the middle of the darn fairway and it comes to rest right in a divot. You know, it’s unfortunately just the way that golf is sometimes; we’ve got to play the ball as it lies, and it’s important that we understand how to hit this golf shot. So first thing I want to tell you is this: I want you to grab a little bit more club than normal. So if you normally would hit a 7 iron from that distance, I want you to grab like a 6 iron. Next thing that I want you to do is I want you to move your hands down on the club slightly; we’re going to choke down a little bit so we get a good feel for the golf club. Next thing I want you to do is I want you to move the ball back in the stance just a little bit. That’s probably the most important thing is move that ball slightly back in the stance. What that’s going to allow you to do is catch the ball a little bit more on a descending blow, on an angle where the club is travelling a little bit more downward so you can catch a little bit more ball first versus the ground. The last thing I want to tell you is this: when it comes to the swing, three quarters swing. You don’t want to be trying to manhandle that thing out of the divot. A little three quarters swing, it’s one of the other reasons why we grab a little more club. So let’s recap: ball stops in the fairway, it’s in a divot. We’ve got to figure out how we’re going to deal with it. Number one: grab a little bit more club. Number two: choke down on it just slightly. Number three: move the ball back a little bit; and number four: put a three quarters swing on it. When you do those things, you’re going to manage that situation, and you’re going to take what was a good drive, get it out of the divot, and put that darn ball on the green.